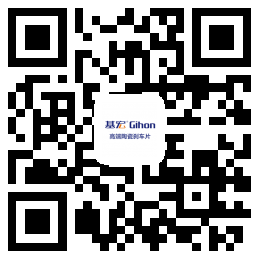 Qingdao Gihon Auto Parts Co., Ltd. is a professional manufacturer of friction materials and brake equipment. The company covers an area of 60,000 square meters and a construction area of 15,000 square meters. It has 5 production lines for discs and an annual production capacity of 4 million sets. The products are mainly used for sales in foreign markets and supporting businesses in the domestic OE market. 1. Ultra-quiet braking to eliminate high frequency noise and low frequency noise during braking. 2. Smooth braking and comfortable foot, let you get rid of the brake stiffness caused by the brakes installed on the metal brake pads, suddenly locked. 3. Use the base macro brake to attach a protective layer to the brake disc of your car, thus achieving ultra-low wear on the brake disc. 4. Jihong Ceramics will completely eliminate the black powder brought by the original low metal brake pads for the wheels of your car, and always keep the wheels clean and new. 5. Jihong Ceramics can withstand temperatures above 600 degrees. The braking performance of Jihong Ceramics will remain stable regardless of the smooth plains or steep mountain roads. Jihong Gihon, a Sino-foreign joint venture, established a factory in the mainland in 2010, focusing on the research and development of automotive brake systems.